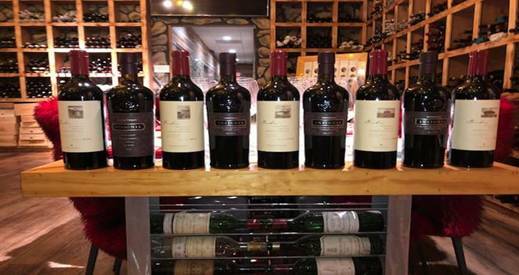 We do still have a few seats left for our Joseph Phelps Insigna Versus Backus Napa Valley Cabernet tasting on Thursday January 24th and a few sports for our formal Brown Bag tasting on Saturday January 26th. Check out the Wine Watch calendar of events to see all the wine tasting opportunities coming up, most of our events are very limited and sell out a week or more before the date of the tasting. When you talk about the greatest values in the world of fine wines you must include the wines of the Rhone Valley. 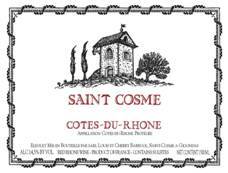 Cotes Du Rhone is by far the winner in bang for your buck, many of the wines in the $15 category and are made from organically or Biodynamically farmed vineyards. This region has the greatest examples of Grenache, Syrah and Mourvedre that you will find and many of the top wines are able to age for a decade or more in the cellar. The top wines of the Rhone Valley like: Cote Rotie, Chateauneuf Du Pape, Hermitage, and Condrieu are not cheap but they cost much less than the top wines of Bordeaux or Burgundy. If you are interested in learning more about the top wines of the Rhone Valley you need to sign up for this tasting. 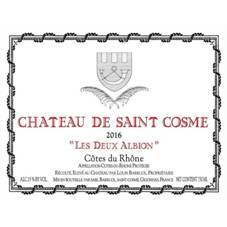 On Friday, February 1st we have the owner of St. Cosme Louis Barroul in town for an in-depth study of Rhone Valley’s wines from both the North and the South. This is a sit-down tasting and Chef Toni Lampasone will be making a special meal to accompany these tasting wines. The fee for this event is $95 + tax for reservations call 954-523-9463 or e-mail andy@winewatch.com. 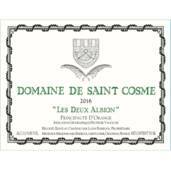 Domaine de Saint Cosme Les Deux Albions Blanc carries the Principauté-d'Orange IGP and comes from 10-hectares near Violès, directly across the Ouvèze River from Gigondas. "The level of limestone here is, I think, the highest in the region," says Louis Barruol. This wine is a blend of Viognier, Picpoul, and Marsanne aged on the lees in a combination of pièce, demi-muids, and INOX tank. Les Deux Albions Blanc shows the salty minerality typical of limestone terroir with notes of dried apricots and white flowers. The plantings near Violès include Bourboulenc, Marsanne, Viognier, Picpoul, Clairette, and Ugni Blanc, and all varieties will be included in future bottlings. Syrah requires a warm climate to fully ripen but enough moderating effect to produce intense, aromatic wines that are not overwhelmed by sweetness and alcohol. This Syrah grows in ideal terroirs of the southern Rhône and shows the varietal’s typical spicy notes of sandalwood, violets, and black pepper. Château de Saint Cosme Gigondas is a blend of Grenache, Syrah, Mourvèdre, and Cinsault. The shade and elevation at Saint Cosme provide a cooler micro-climate than the rest of Gigondas. Whole clusters are fermented with indigenous yeasts and vinified in a combination of new and used barrels, and concrete tanks. The wine is bottled without fining or filtration. The wine shows intense blackberry and fig fruit with licorice, violets, and charcoal on the finish. It is remarkably fresh and finessed given the sun and warmth of the southern Rhône. The unique micro-climate combined with 60-year-old vines and traditional winemaking make Château de Saint Cosme Gigondas the benchmark wine of the appellation. Châteauneuf-du-Pape is famously the strongest, most powerful, and longest-lived wine of the southern Rhône. Louis Barruol’s Châteauneuf-du-Pape from contracted growers is a classic expression of the region with aromas and flavors of cherry, thyme, lavender, truffle, and olives. 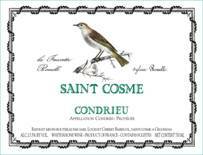 Saint Cosme Saint-Joseph is produced from 100% Sérine, an ancient and local variety of Syrah that is markedly different from modern selections. It is more oval, with lots of space in the bunch, resulting in a very aromatic wine. It is sourced from the climat Malleval in the northern part of the appellation near Condrieu. The wine is made from 70% destemmed with 30% whole clusters, fermented with indigenous yeasts, and aged in 20% new 228-liter barrels. Louis Barruol describes the microclimate of the vineyard Malleval as “very cold” which allows the grapes to retain acidity and showcase the floral aromas of the local Sérine variety. Aromas and flavors of blackberries and wild strawberries are accented by notes of peppercorns, tobacco, peonies, and violets. Côte-Rôtie is produced from 100% Sérine, an ancient and local variety of Syrah that is markedly different from modern selections. It is more oval, with lots of space in the bunch, resulting in a very aromatic wine. It is sourced from the schist soils of Le Plomb, Besset, La Viallière, and Neve climats. These hillsides are among the steepest in France with an incline as much as 55 degrees. The wine is made with whole cluster fermentation from indigenous yeasts, aged for 12 months in 40% new 228-liter barrels, and bottled without fining or filtration. On the palate, it reveals a fresh attack followed by an ample, structured, long-lasting finish. The wine unfurls in successive stages and ends with top-quality tannins produced by whole cluster fermentation. It features aromas and flavors of smoked ham, violet, graphite, graphite, and licorice. Louis Barruol’s style combines the region’s typical ripeness with freshness, an elusive quality in the warm climate of the southern Rhône. One of the keys to freshness is the use of stems for their red wines. The stems absorb alcohol during fermentation and help retain acidity and tannin. Red wines are made by spontaneous fermentation. Louis prefers cement tanks or mostly used 228-liter Burgundian pièce for élevage with just a few traditional demi-muid for his whites. The négociant wines are transported to Gigondas in casks to avoid racking and unnecessary exposure to oxygen. Reds are bottled unfined and unfiltered. “I want to make wines which express their terroir with purity and personality. 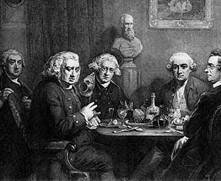 I want balanced wines with a great ability to age,” says Louis Barruol.